Tomorrow sees the start of National Afternoon Tea Week www.afternoonteaweek.com which runs until 16th August. During the week hotels, tea rooms, restaurants and even a Routemaster bus will be running tea-time events throughout the country. 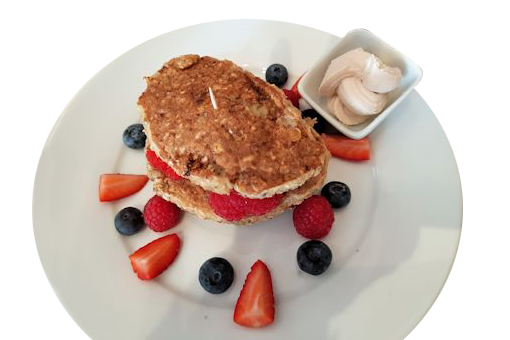 We thought we would give you a run down of places to go to enjoy gluten free and dairy free teas during this special week. 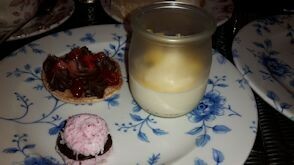 I was lucky enough to attend the launch of Afternoon Tea Week at St Ermin’s Hotel www.sterminshotel.co.uk where they provided a special gluten free tea. First up was a glass of Innocent Bystander from Wine Trust www.winetrust.co.uk , a light, sparkling rose wine. 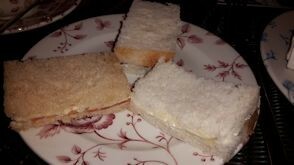 I enjoyed sandwiches made with gluten free bread – smoked salmon and caviar, salt beef with horseradish and cucumber and cream cheese. This was followed by mouth-watering gluten free chocolate and raspberry cake and lemon and rose petal drizzle cake. The portion sizes were dainty so I didn’t feel too naughty eating every crumb! There was an unusual, but delicious pink marshmallow and coconut cake, as well as passionfruit mousse. 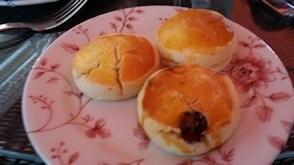 The highlight was the gluten free scones accompanied by jam and cream. We enjoyed a selection of teas from Newby Teas www.newbyteas.co.uk , which is supporting Afternoon Tea Week such as Rooibos Orange, Jasmine Princess, Strawberry and Mango. I enjoyed Assam tea with soya milk. 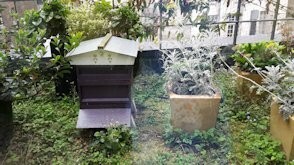 I took the opportunity to visit the hotel’s bee hives on the third floor balcony – you can view the busy bees through the window. So where else can you go for afternoon tea and be able to indulge in gluten free dairy free cakes? Café Nero www.caffenero.com serves a wheat free carrot cake. 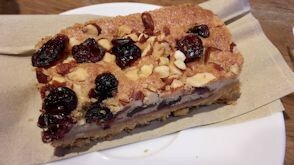 I was delightfully surprised to find a blackcurrant gluten free sponge in Foyles café www.foyles.co.uk in London – really moist and delicious – so many gluten free cakes can be too dry. At the Giro Cycling Café, 2 High Street, Esher www.girocycles.com we chanced upon cakes that were not only gluten free, but dairy free as well! Ray ordered the gluten free and dairy free lime and coconut cake, while I enjoyed the gluten free orange and polenta cake. Heaven! At Leon Restaurants www.leonrestaurants.co.uk , with branches throughout London, you’ll find an array of gluten free cakes. 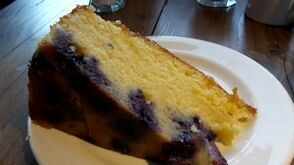 I was particularly taken with the cranberry cake – divinely moist. 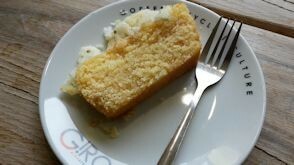 In Claygate, at Caffee Capital coffee shop www.capitalcoffee.co.uk , I was delighted to find gluten free lemon polenta cake – wonderful. Of course you could always make your own dairy free and gluten free cake. One of my favourites is Viennese carrot cake by Nigella Lawson www.nigella.com . Awesome.